I’m recently become obsessed with chargers for my iPhone. I am SICK AND TIRED of constantly being worried about losing battery power after a few hours. I am a heavy user – so this happens to me quite frequently. 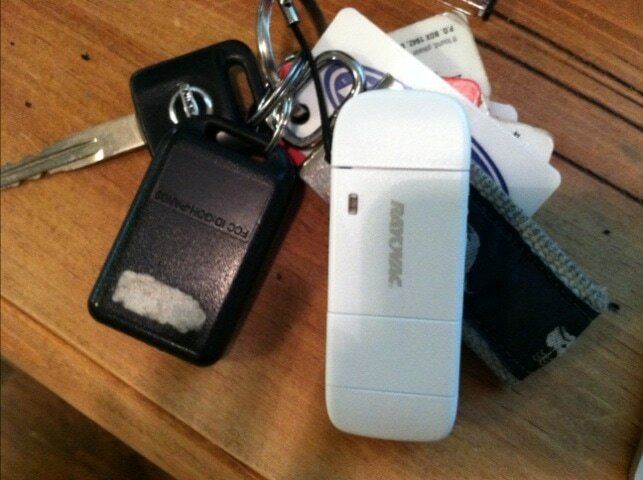 Well, Rayovac has the ‘Keychain On The Go Charger‘ that connects to your keychain and offers up to an additional 45 minutes of talk time. 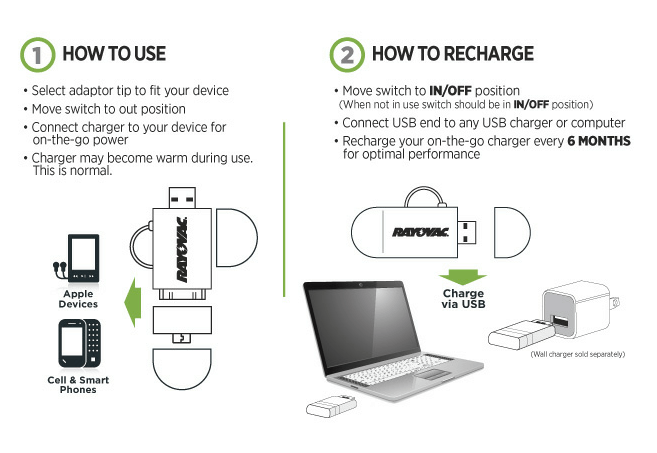 It works with Apple, Blackberry, HTC, Nokia, Motorola, LG, Sony, Samsung and more. Head over to Rayovac’s Facebook page for a chance to win a Family Fun Pack which includes 4 general admission tickets, a regular Flash Pass for 4, one Family Meal Pack along with free parking to a location of the winners choice! Their contest expires TOMORROW! So, enter right now. I also have 4 additional tickets to giveaway!! They are only valid for the US locations and expire at the end of the 2012 season. Looking for additional ways to enter? Here are a few more options! These aren’t mandatory – just an additional option. Become a fan of LAB’s Facebook Page. Then leave a comment on the wall saying you entered the Rayovac giveaway. Tweet this message: “Hope I win the @Rayovac giveaway from ladyandtheblog.com( @verasweeney). RT to Enter #contest #giveaway”. Like Rayovac on Facebook and leave a comment saying you entered the Six Flags giveaway on ladyandtheblog.com. LOVE them!! So handy! Btw I have been following your celebrity blog for years and enjoy every post! Keep up the good work! I’d love the tickets! Thanks for the chance. I NEED THIS! We discussed on Twitter our shared loved for our Mophies. I definitely want one of these. I’ve liked LAB’s Facebook page as well as the Rayovac Facebook page.